After a long day at work it’s hard to figure out what to make for dinner. Maybe you know exactly what you want, but find you’re missing a key ingredient. Imagine knowing exactly what’s for dinner, know for certain you have have all the ingredients, and step by step instructions on how to make it. 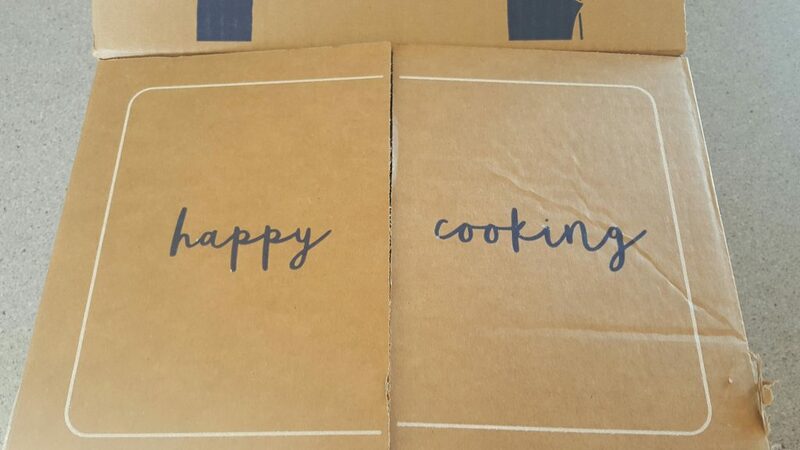 That’s exactly what Blue Apron does for you, and as an added bonus they’ll even deliver everything right to your doorstep. 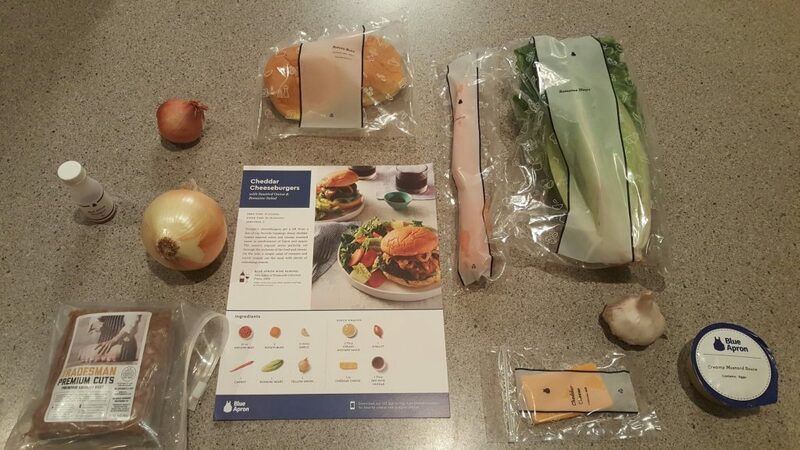 This Blue Apron review will show you exactly how it works. 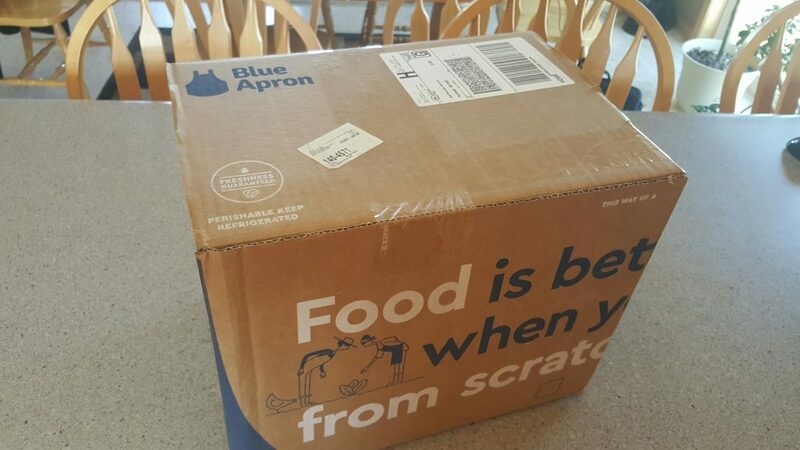 Blue Apron is a food delivery service. Unique menu options are offered each week on Blue Apron’s webpage. Customers can select from the options for a given week, or can decide to skip that week. Selections can be made for several weeks in advance. 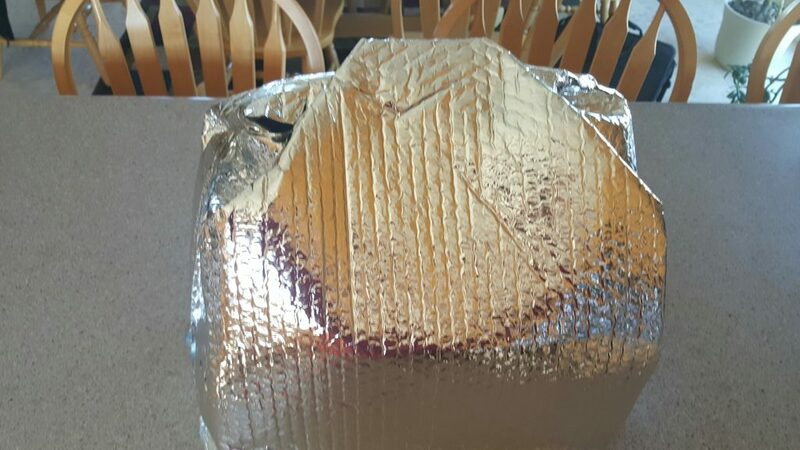 If menu options were ordered for a specific week, the ingredients will be delivered on Saturday in an insulated bag with ice packets. Also included are instruction cards for each recipe. Each recipe card lists what ingredients are needed, as well as step by step instructions to make each recipe. Also listed is the approximate preparation and cook time. The 2 Person Plan provides 3 meals for the week, each serving two people. This option costs $9.99 per serving or $59.94 per week. With the Family Plan, customers can select either 2 or 4 recipes per week, each recipe serving 4. At $8.74 per serving, The Family Plan will cost $69.92 for 2 recipes per week, or $139.84 for 4 recipes. I tried a week’s supply of the 2 Person Plan (3 recipes) To be honest, I did have a little trouble finding three recipes from any given week’s options that totally appealed to me. People reading this Blue Apron Review need to keep in mind that the recipes do have a gourmet slant to them, and must have a mindset of wanting to try new things. The recipe cards were clear and concise, and the approximate prep and cook time were fairly accurate. Each meal took between 30 minutes and an hour to prepare. None of the recipes required skills I didn’t already have. The neat thing about the recipe cards is that they can be kept and used again, although I’d have to buy my own ingredients for subsequent attempts of the recipe. Of the three recipes I ordered for this Blue Apron Review, I loved one, found one to be OK, and didn’t care for the third. Who Should Use Blue Apron? Overall, I enjoyed my Blue Apron review experience. 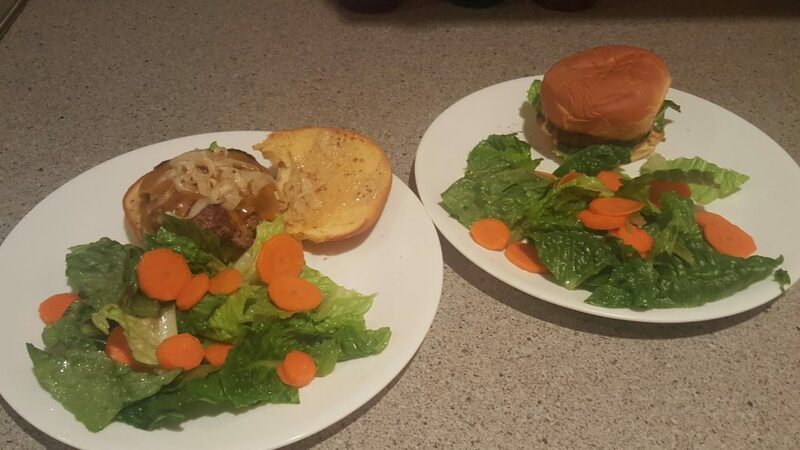 It gave my wife and I the opportunity to have some fun cooking together some meal items that we would have never made otherwise. If we ever need a break from our normal food routine, Blue Apron provides the opportunity to shake things up a bit. Finally, if you like the idea of Blue Apron, but only want to try it for the novelty, consider getting it for just a couple of weeks. You can use this link to get $30 dollars off your first order. On the two person meal plan the $30 discount will slash your per service price from $9.99 to about $7.49 for the first two weeks. Not bad. Is Keg cheaper the Canned Beer?